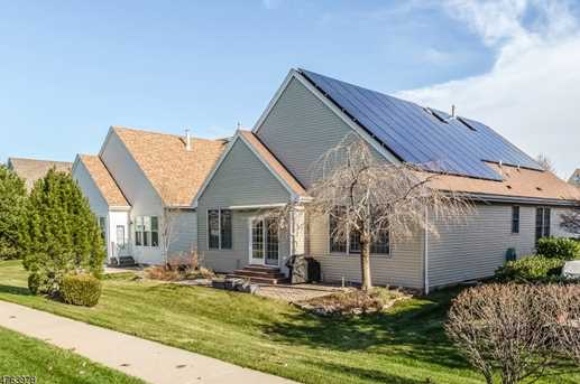 "As the listing agent for the property located at 8 Stryker Rd in Somerset, NJ, I researched numerous sites relating to marketing a home with solar electricity. Viva Green Homes was the most impressive site and a great source to differentiate my listing. The site also provided a link to Savenia Labs. Savenia’s Solar Rating Report is a very helpful analysis to assist potential homebuyers in understanding the benefits of solar electricity as an economical energy choice. I was excited to share the information with my clients and to be able to provide an additional means of marketing their home!" Sellers often ask how they can highlight their solar listings on the Viva Green Homes platform. Over the holidays Kari Klaus, Founder & CEO of VivaGreenHomes.com had the chance to catch up with John Jabara, founder of Savenia Solar Ratings, a Viva Green Homes partner. What are Savenia Solar Ratings? Savenia Solar Ratings are the only independent, 3rd party report on the potential value that solar adds to a home for both owned and leased systems. The report helps sellers differentiate, sell faster and capture more value from their solar home. 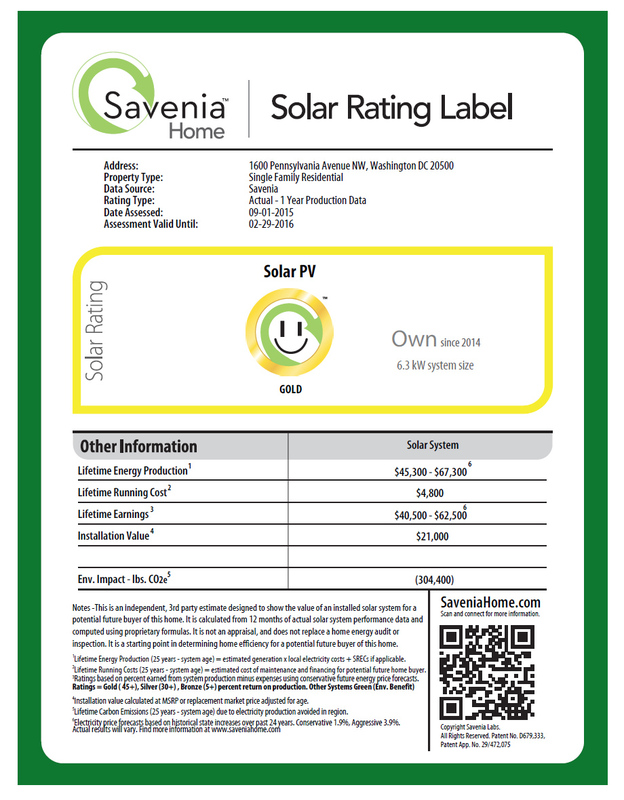 VGH customers that order a rating get a tailored online listing that gets noticed just like this Solar Rating Label. Are buyers confused by solar? Solar is growing in popularity but still relatively rare depending on geography. Many industry professionals have not yet been trained on how much value it adds to the home. Savenia Solar Ratings provides this information from an independent, 3rd party source for use in marketing the home with maximum impact. What about owned vs. leased systems? Owned system ratings often contribute high numbers to a home valuation, while leased systems don't normally count toward the appraised valuation of the home as the system is owned by another party. But leased systems can still generate valuable cash savings for the new home buyer, help differentiate the home and generate interest to sell faster. Savenia can calculate the lifetime value of bothowned and leased systems. How do sellers get the report? 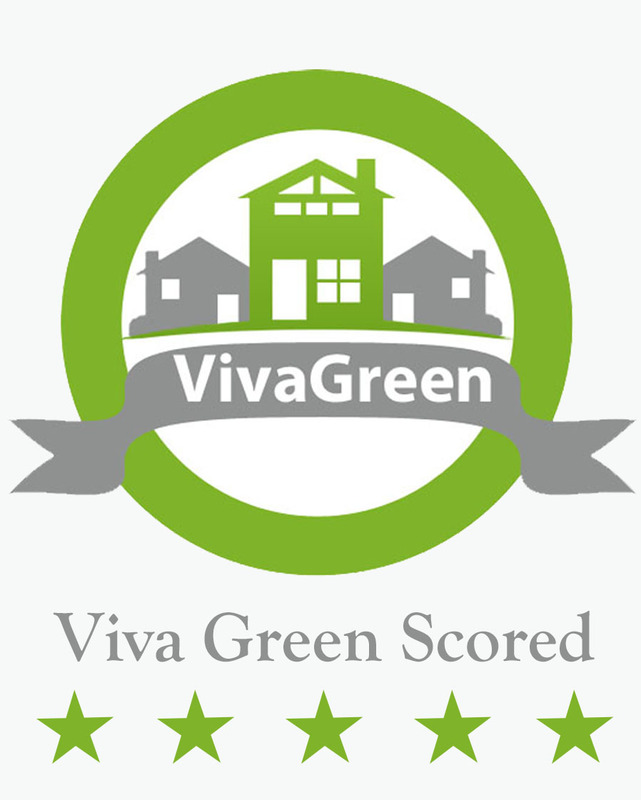 Sellers can purchase the report directly on Viva Green Homes as a marketing package, and simply send the system information to Savenia. VGH will upgrade your listing to show the solar information and ratings.